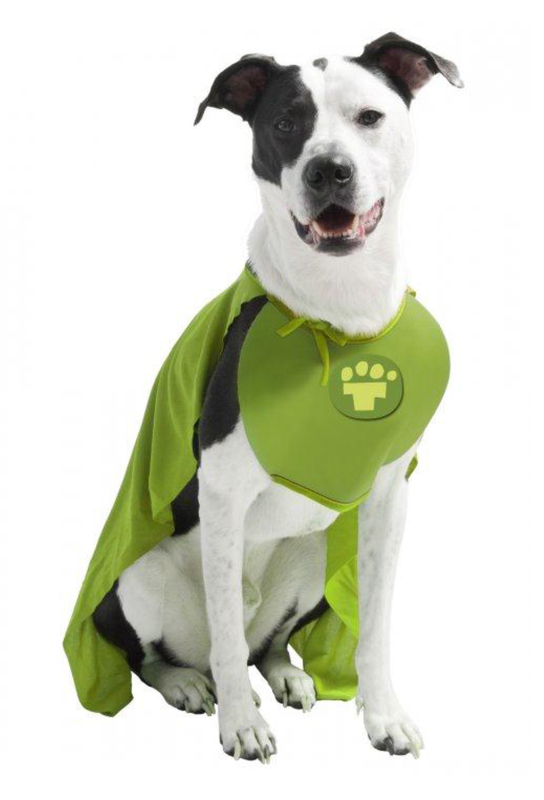 As snow and ice storms hit this winter, environmental superhero and real-life rescue dog, TurfMutt, urges everyone to "bone up" on wise wintertime practices to keep everyone safe during snow and ice removal and times of falling temperatures. First, when Old Man Winter comes calling, TurfMutt reminds everyone that pets feel the cold as easily as humans despite their fur coats. Reduce outdoor activities when temperatures dip low and keep them inside during severe weather. Remember in most jurisdictions, homeowners are required to clear sidewalks and walkways in the event of a snowstorm. When using a snowthrower to clear driveways and sidewalks, keep kids and pets away from the equipment. But TurfMutt and his pet friends thank you for remembering to make a path to your pet's bathroom area. "Snowthrowers make quick work of an arduous task so everyone can go about 'their business'," says Kris Kiser, president and CEO of the Outdoor Power Equipment Institute and TurfMutt's guardian and rescuer. "But remember never to put your hand in the chute or auger to clear a blockage. Always use a clean-out tool." Once sidewalks, driveways and other outdoor areas are cleared and useful again, remember that pets require special care in freezing temperatures. Forgo pet haircuts and let winter coats protect them against the elements. Check ears, paws and tails for signs of frostbite or getting raw from ice and snow. Wipe down your pet's belly, legs and paws to remove ice-melting chemicals, which can irritate and cause serious illness if licked or swallowed. Change your antifreeze. Due to the sweet smell and taste, pets will lick or drink antifreeze if found puddled on sidewalks or garage floors. But anti-freeze is toxic to cats and dogs. Clean up spills and consider using a brand made from propylene glycol instead. Keep the water flowing. Dry winter weather can be dehydrating, not to mention freezing. Break up ice in your pet's water bowl and be sure they have regular access to clean, fresh water. "After I rescued Lucky, a.k.a TurfMutt, from an Indiana highway years ago, he donned his superhero cape and has worked hard to 'paw it forward' by issuing seasonal tips regularly," Kiser says. "Every pet can be a TurfMutt hero, but only if we keep them safe and happy during all kinds of weather." The TurfMutt environmental education and stewardship program was created by the Outdoor Power Equipment Institute's (OPEI) Research and Education Foundation and has reached more than 62 million children, educators and families since 2009. Through classroom materials developed with Scholastic, TurfMutt teaches students and teachers how to "save the planet, one yard at a time." The Outdoor Power Equipment Institute (OPEI) is an international trade association representing more than 100 power equipment, engine and utility vehicle manufacturers and suppliers. OPEI is managing partner of GIE+EXPO, the industry's annual international trade show, and the creative force behind the environmental education program, TurfMutt.com. For more information, visit www.OPEI.org.